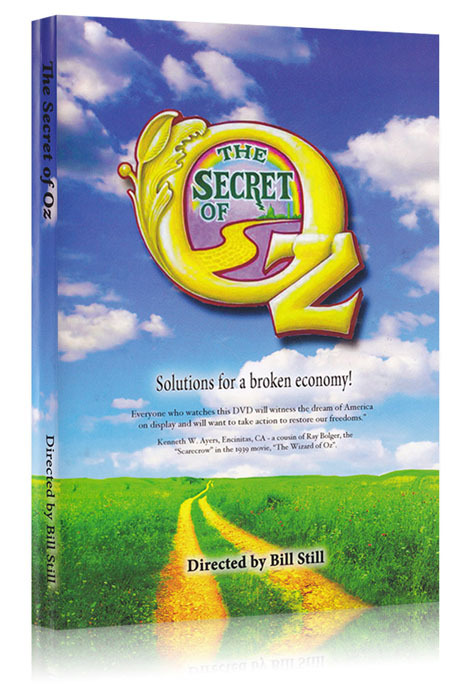 The Secret of Oz: Solutions For a Broken Economy is the powerful new film from the creators of the ground breaking film The Money Masters. What's going on with the world's economy? Foreclosures are on the rise, unemployment is skyrocketing and this may only be the beginning. Is it possible that solutions to the world's economic problems were embedded in one of the most beloved children's stories of all time, "The Wonderful Wizard of Oz?" The yellow brick, the Emerald City of Oz, Dorothy's silver slippers (changed to ruby slippers for the movie version) — all powerful symbols of author L. Frank Baum's belief that the people, not the big banks, should control the quantity of a nation's money.